Offering a world class facility, the World Tennis Center is one of the premier tennis communities in all of Southwest Florida. 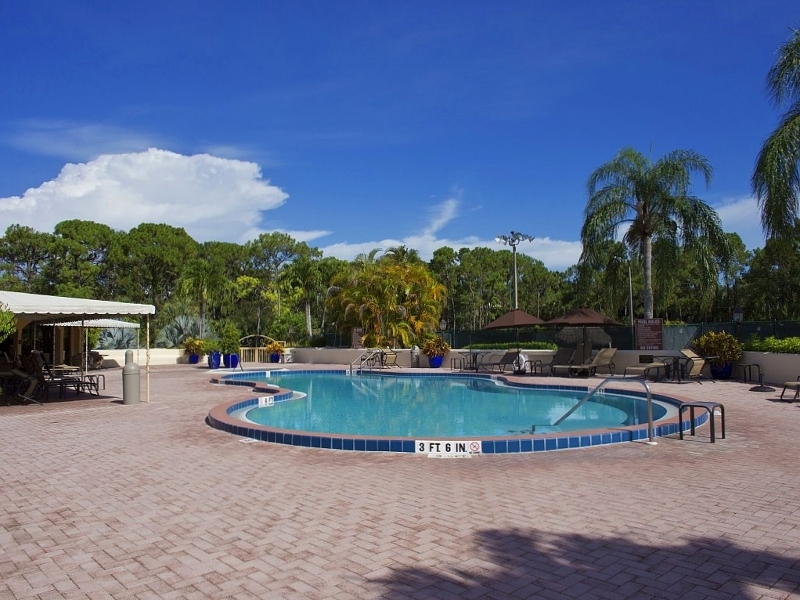 Located in the heart of Naples, the World Tennis Center is nestled within 82.5 acres of lush tropical landscaping and seven acres of sparkling blue lakes. 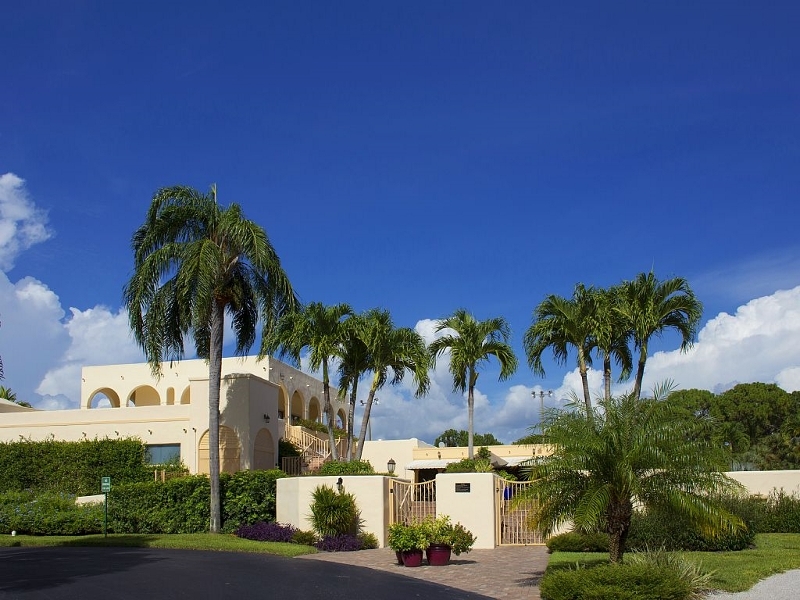 The community’s dramatic Mediterranean styled architecture is unlike any other in Naples and features 360 distinctive single family homes, luxurious villas and stylish condominiums, all with creamy stucco exteriors and beautiful lake and preserve views. The single family homes range from 1,529 to 2,429 square feet with three to four bedrooms and a one or two car garage. The villas range from 1,527 to 1,931 square feet with three bedrooms and a one or two car garage. The verandas range from 1,480 to 1,630 square feet with two to three bedrooms and a one car detached garage. The condos range from 879 to 1,040 square feet with two bedrooms and assigned parking. 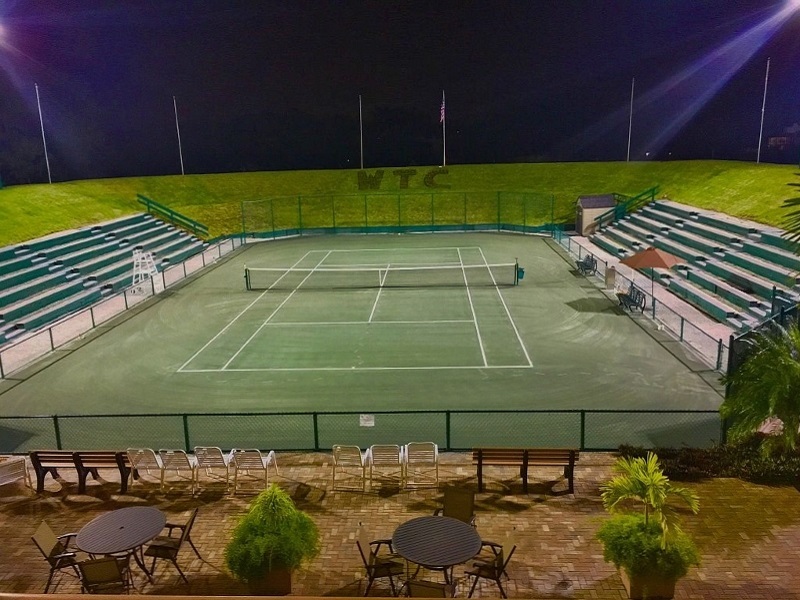 Surrounded by shell paths, lakes and preserves the World Tennis Center offers a relaxing and tranquil environment. At the heart of the community is the World Tennis Center featuring sixteen tennis courts of which twelve are clay, four are hard and 10 are lighted for night play. The Stadium Court provides high capacity seating for the weekly exhibition matches, tournaments and special events that take place throughout the year. The staff of USPTA professionals offers instructions, programs and private and group lessons for all ages and ability levels. The full service Pro Shop is equipped to handle all of your tennis needs. From racquet stringing and repairs, tennis equipment, accessories, apparel to an excellent match making service that insures that members, newcomers and guests all have fun filled competitive games, nothing has been overlooked. There also is a computer-based court reservation that automatically accommodates your playing needs. Next to the tennis complex is the Poolside Café, an indoor-outdoor tropical Café and bar with internet access. Featuring a Mediterranean theme, it is open year round and offers snacks, light meals and favorite beverages. The heated community pool is located in the courtyard area along with a Jacuzzi for eight. Completing the package are the men’s and ladies’ locker rooms, each with dry heat saunas.